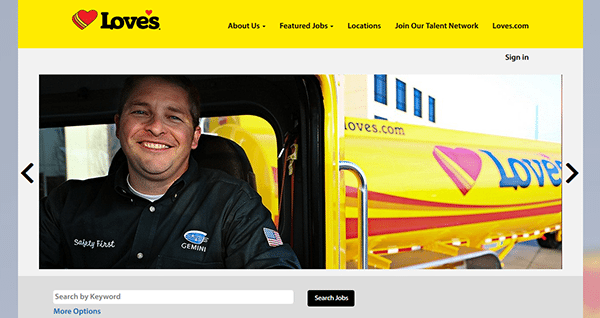 The online Love’s Travel Stops job application is available via the company’s careers page. Follow the links posted on this page (near the top of the page/in the instructional guide) to go to the company’s employment page. When you open the company’s employment portal you will be able to search for current job openings, register for an online account, and fill out/submit applications for any job openings that you want to apply for. About the Company: Love’s Travel Stops & Country Stores is an American chain of truck stops/convenience stores based out of The Village, Oklahoma. The company has more than 400 locations across the country and employs over 17,000 people. Step 1 – Start by going to the company’s main jobs page here. Note: The above link will load in a new tab/window so you can follow the steps in this guide. 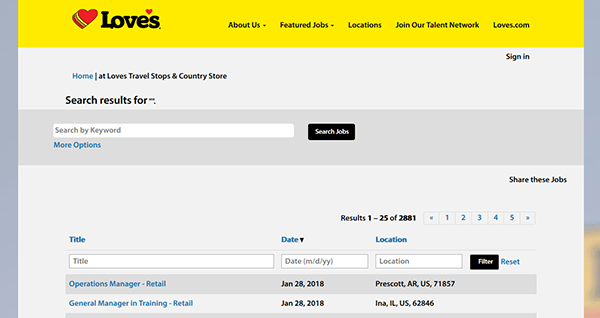 If you want to go directly to the Love’s careers website scroll up and press the “Apply” button on this page. Step 2 – Enter a keyword (e.g. job title or location) into the search field and then click the “Search Jobs” button to load the list of current opportunities. 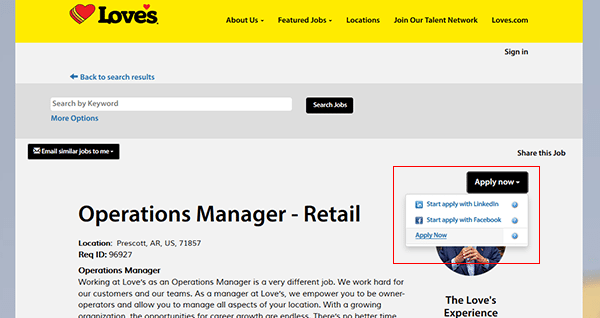 Step 3 – The list of current opportunities can be sorted by title, date, or location. Click the job title/link of the position that you’re interested in submitting an application for (to go to the next part of the process). 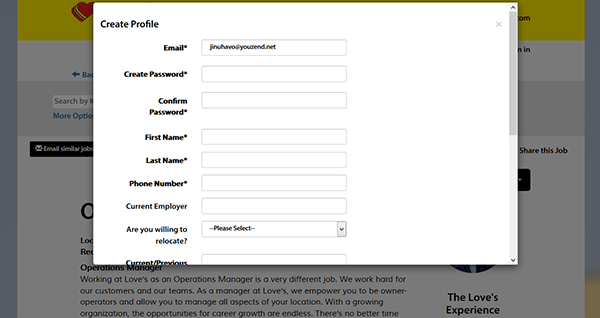 Step 4 – Read the complete description of the job and then press the button outlined in the below screenshot. Enter your email address into the input field and then hit the “Start” button. Step 6 – After all of the required details have been entered you will be able to submit the application.